Wow! You’ve just got to love these recent newspaper headlines and news broadcasts, don’t you? According to them our world is completely falling apart. Oh wait…that’s right, according to them it is always falling apart…Oh well. Shocking how we somehow keep surviving isn’t it? It is not only the newspapers that surround us with negative thoughts and energy but also the people we work with, friends, and even family members. So how are we supposed to maintain a higher positive vibration when almost everyone around us is predicting doom and gloom for our future and our economy? If you have food you can eat today, clothes to keep you warm, a roof over your head, a mind that works and a heart that is still beating – you are GOOD! Anything beyond that can be considered an added bonus. It really doesn’t matter if the food is not lobster, the clothes designer, the house a mansion, you don’t have the perfect body, or the perfect romance. As long as you have the basics listed above you will be able to obtain the rest. Do not waste your energy thinking negatively about yourself because you do not have some of the extras just mentioned. There’s always tomorrow and you’ll find a way. Simply STOP! Even if it is for only a couple of weeks. Turn it off. Play music instead, watch some of your favorite comedy DVDs, listen to inspirational books on tape. Don’t worry about missing anything. I promise you, next month they will have the same exact horror stories in the paper – it’ll be like you never left. Here is the scenario. Someone starts the conversation about how horrible things are in the world. You respond in agreement, so do the others in the group. Now you all feel the fear. Now you all get angry. You yell, call each other naive, strive to get your point across but nobody hears it anyway. Now you all walk away angry and frustrated. So where did this conversation get you? Depressed, hopeless, fearful, angry and frustrated. And guess what? Absolutely nothing was accomplished! Nothing has changed in Washington. You didn’t solve the housing crisis or lower gas prices, but you probably just made enemies with some of your best friends or family members. So what is the point? Decide that you no longer want to participate in these useless negative battles. Life is too short to spend it arguing with loved ones when nothing get resolved anyway. Besides, it certainly isn’t going to help you keep a positive vibration. Go do something that will make you happy. Go online to a comedy site – go read a book. Keep in mind that maintaining a positive vibration is the healthiest and most important thing you can do for yourself right now. Now let’s say this negative conversation takes place over a business dinner or around the Thanksgiving table and leaving is not an option. Put yourself in an invisible Happy bubble. Inside this bubble you are always peaceful. You are not affected by what is going on outside of it. You may observe, you may listen to what is going on, but you refuse to participate in any way. Imagine that you are watching a fictional movie. None of what you are hearing is affecting you personally. It is simply entertainment. Hum you favorite song in your head. Think of a funny memory. If someone asks your opinion tell them you weren’t paying attention. You were in your “happy place”. They might look at you like you are crazy or attempt to draw you in to the conversation anyway, but eventually they will get it. And the next time they are arguing and see you with that silly smile on your face they will simply inform the others “Oh don’t bother with them, they are in their happy place” and you go back to having fun. Keep in mind that according to people the world is “always” falling apart. You could go back 100 years or more and you would hear the same exact complaints you hear today. “Things are getting way too expensive”, “the next generation is so spoiled”, “the next generation is so disrespectful or irresponsible”, “there is no one good to vote for”, “the economy is in trouble”, “an energy crisis looms”, and the all most important “this country is going to hell in a hand basket” scenario. Here’s the deal. Energy moves and changes constantly. It always has and always will. The people going through those energy changes have always felt uncomfortable when those changes come about and automatically assume the outcome is gong to be negative. Yet, we are all still here and creating more than ever. In fact we have more conveniences and are more technologically advanced than we ever thought was possible in so short a period of time. Don’t feed into the “fear of the future” nonsense. Change is normal. Change is good. Change is growth. Go with the flow instead of fighting it. Look for the opportunities these new changes can bring you instead of fighting the current and trying to keep things the same; because the truth is, things are not going to stay the same anyway. Just because you hear about the negative around you, doesn’t mean you need to be affected by it personally. There have always been people who have prospered during what others called “hard times”. People who were successful even when there was a war on, when real estate was depressed, when there was a recession or even the Depression. Decide that not only will you not be negatively affected by the changes going on around you but that you are absolutely going to find a way to prosper from them. Think positively and constantly ask your higher self, “What move can I make right now that will make me prosper?” Keep asking and asking. Suddenly inspirational thoughts will seem to come out of nowhere. Keep your thoughts on possibilities – not fear. Remember “You are not a human being in search of a spiritual experience. You are a spiritual being immersed in a human experience”. When you keep this in mind, you remember how big you really are and where your true power lies. You may be “on” this planet but not “of” it – which means the planet does not dictate what happens to you – only you can do that. Fear comes from thinking that you have no control. That others are making decisions that affect you and there is nothing you can do about it. But that is not the case. YOU create every experience you have while down here and YOU decide what you are going to create. This is the most important thing of all to remember. Imagine it as if you are going to an amusement park for the day. The “park” doesn’t decide what you are going to do all day – You do. You decide the rides you want to go on or the rides that don’t interest you. Just because the rides are “there” does not mean you are forced to go on them. The same with our planet. Just because the “negative experiences” exist, does not mean you have to participate in them. The choice is up to you. So go be positive, look ahead. Find ways to be abundant regardless of what is happening around you. Keep your vibration high. Do something everyday that increases that vibration until the momentum is so great that you are manifesting wonderful things almost instantaneously! The power is in your hands. This entry was posted in -Daily Care Tips For Empaths, -News and tagged affects of media, appreciation what you have, creating a positive environment, harms of watching the news, high positive vibration, high vibration, how to leave negative conversation, how to stay positive, how to stay positive when surrounded by negative people, increase vibration, inspiring article, Janeen Clark, keeping your high vibration, Law of Attraction, Law of Attraction – How to Stay Positive When Surrounded by Constant Negativity, negative environment, positive attitude, positive light, spiritual life coach, staying positive, sunflower picture on May 16, 2011 by EmpathSolutions. How Do You Know You’re An Empath? Be sure to check out the TOOLs & TIPs in our Empath Tool Box and leave us your comments & suggestions. 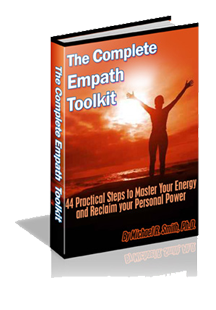 And for more helpful energy tips and techniques to help Empaths & Highly Sensitive People, check out Dr. Michael R. Smith’s The Complete Empath Toolkit: 44 Practical Steps to Master Your Energy and Personal Power. 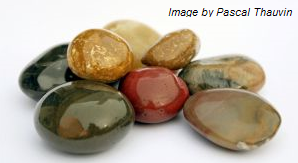 This entry was posted in -Empath Solutions & Tools, -News, -What Is An Empath? and tagged cleansing negative energy, clearing negative energies, clearing negative energy, Complete Empath Tool Kit, emotion, empath, empath description, empath solution, empath traits, empathconnection.com, empathic abilities, energy, getting rid of negative energy, highly sensative person, how do you know you are an empath, how to protect yourself from negative energy in your environment, hsp, negative energies, negative energy, negative environment, negative person, remove negative energy, removing negative energy, what is an empath, you are an empath on January 15, 2011 by EmpathSolutions.